But long before his smash hit shaked the world-wide club scene the man from Stockholm was already known as one of the most skillful DJ’s of his homeland. 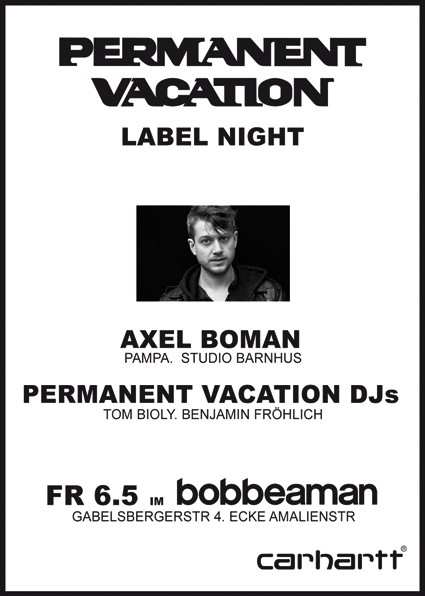 Upcoming Friday he makes a night of it in Munich and spins deep four-by-four dance rhythms with the Permanent Vacation folks. Their record label recently released Axel Boman’s terrific remix of the Wolfram track Fireworks – another heartfelt gem of deeply touching House science.